Visit St George's, Bermuda's former capital and the oldest continuously inhabited town in British North America. Start at the World Heritage Centre on Penno's Wharf and then make your way through Somers Wharf to the Tucker House, the home of one of Bermuda's leading families in the 17th and 18th Centuries, and the site of the barber shop run by Joseph Rainey, who went on to become the first African American to be elected to the United States House of Representatives. The World Heritage Centre in St George's. Next enter King's Square and see the Ducking Stool at the water's edge where suspected witches were "tested". Cross the Square and see the stocks where wrongdoers were secured and underwent public humiliation. From there enter the National Trust Museum at the Globe Hotel, once the home of the Confederate agent in Bermuda when St George's was a blockade-running hub during the American Civil War and later a hotel where Mark Twain once dined. Across York Street from the Globe Hotel is St Peter's Church, founded in 1612, and the oldest Anglican church in the Americas. Leaving the church, walk to Stewart Hall on Queen Street, a 17th century building with a quaint garden and home to the Bermuda Perfumery. Lili perfumes are made on-site. Men and women alike will enjoy learning about the scents, the building and the process of making the perfumes in this visit. On the way out of St George's, stop at the St. David's Island Historical Society site that represents the first 100 years of Bermuda’s settlement. 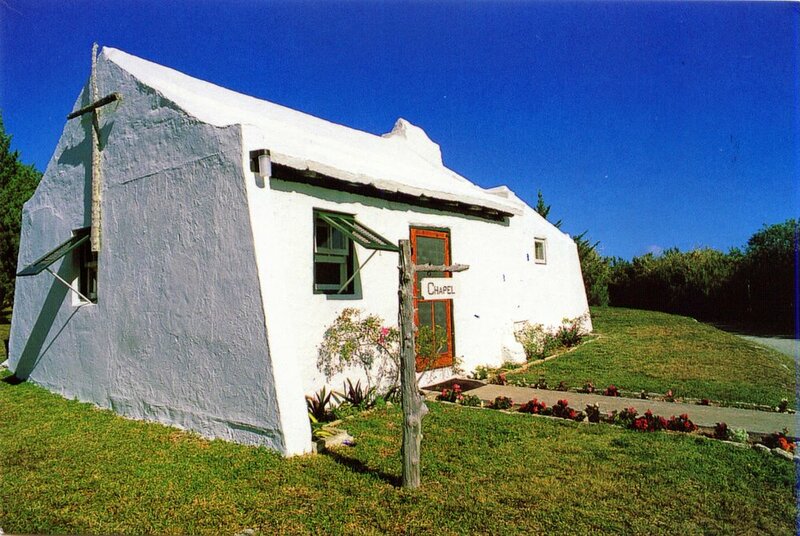 Visit a replica of a settler’s dwelling or thatched “cabben circa 1612 and Carter House, a classic Bermuda vernacular limestone house, circa 1680-1720, believed to be one of Bermuda's oldest Bermuda houses, surviving largely in its original structure and form for over 3 centuries. Enjoy a vibrant and culturally rich day in the present day capital, Hamilton. Start at the Bermuda Historical Society Museum in Par La Ville Park on Queen Street, once the home of Bermuda's first postmaster, William Perot. Walk up Queen Street to City Hall on Church Street, and enjoy The Bermuda National Gallery, home of the Watlington Collection and the organiser of the Bermuda Biennial. The Bermuda National Gallery's permanent collection. From there, it's a short walk to the Anglican Cathedral, and the Sessions House, where Bermuda's House of Assembly - founded in 1620 - meets and where justice is meted out in Bermuda's Supreme Court. Lunch in one of Hamilton's many vibrant restaurants before travelling to the Bermuda Underwater Exploration Institute on East Broadway, home to stunning collections of shipwreck artefacts, shells and, recently, the mysteries of the Bermuda Triangle. Then go on to the nearby Botanical Gardens, where you can see Camden, official home of Bermuda's Premier, and visit the Masterworks Museum of Bermuda Art, home of art made in Bermuda by artists including Winslow Homer and Henry Moore. The Gallery also features and encourages contemporary artists. Visit the Royal Naval Dockyard. Take the ferry from Hamilton or St George's to Dockyard. When you get off, walk to The National Museum of Bermuda , formerly the Bermuda Maritime Museum. Browse around the Queen's Exhibition Hall and the other Keep Yard exhibits before walking up the ramparts to the Commissioner's House where exhibits on slavery and the Hall of History mural by artist Graham Foster are among the highlights. Commissioner's House at the Bermuda National Museum. Leaving the Keepyard, stop at the Bermuda Craft Market and the Bermuda Arts Centre to enjoy Bermuda crafts and fine art before going on to one of the RoyalNaval Dockyard's many fine restaurants. After lunch, walk through the Victualling Yard to the Clocktower, where more shops await. On the way out of Dockyard, stop at the Royal Naval Cemetery on Ireland Island (below), where military personnel and their their families have been laid to rest for more than 200 years. If you are leaving the West End by road, stop at the Heydon Chapel (below) in the beautiful Heydon Trust property and Gibbs Hill Lighthouse (bottom photo), one of the oldest cast iron lighthouses in the world, on your return journey.